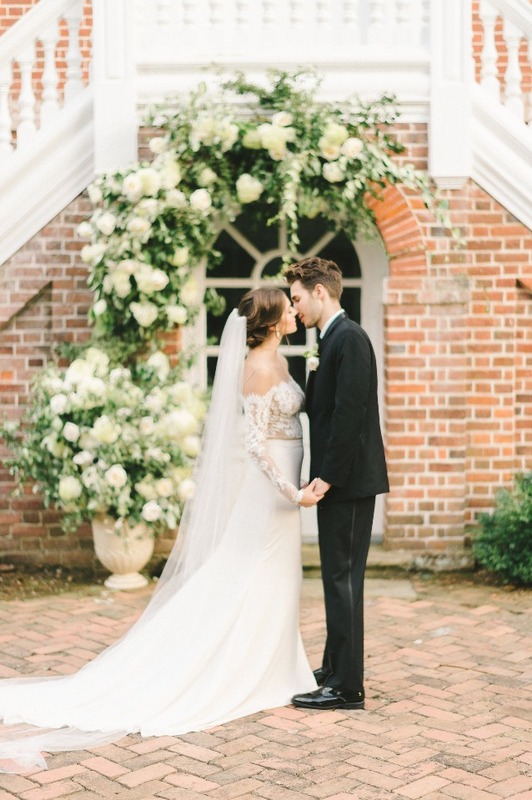 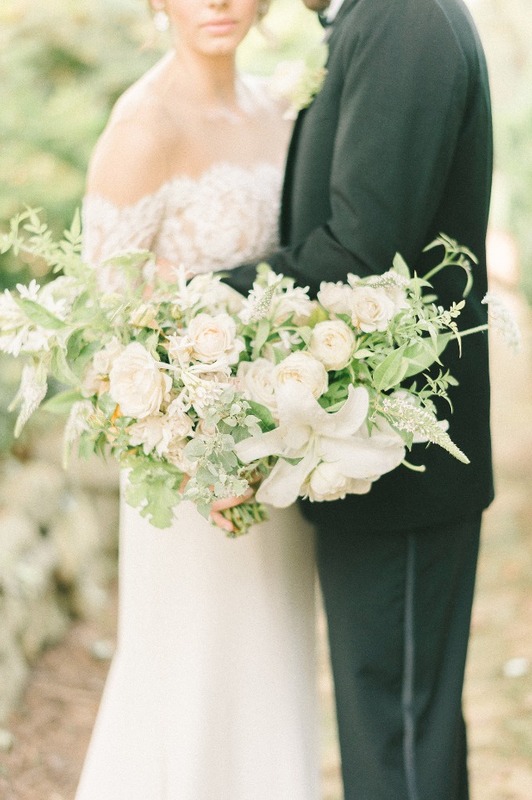 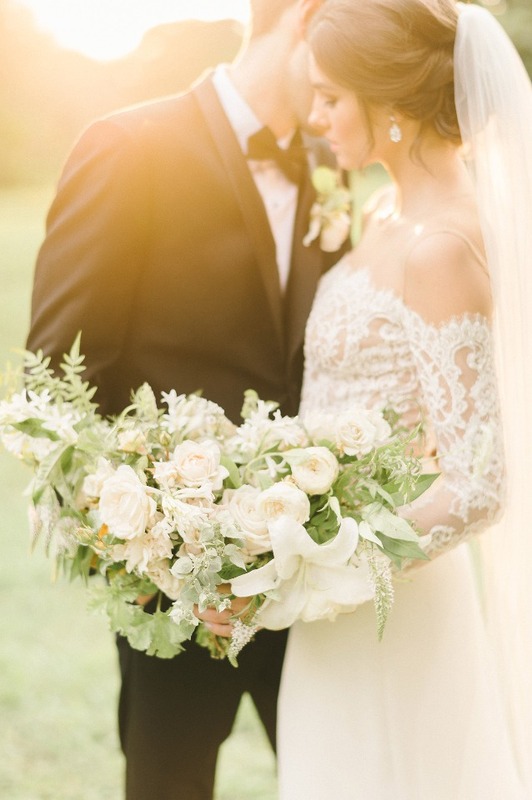 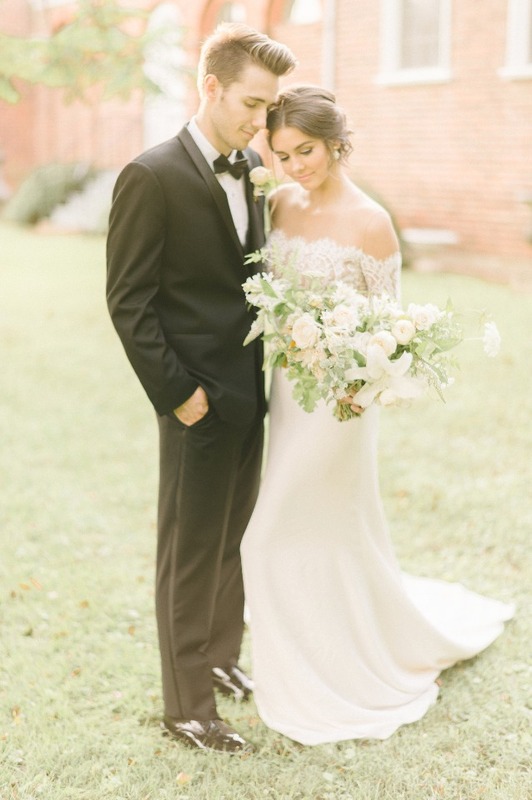 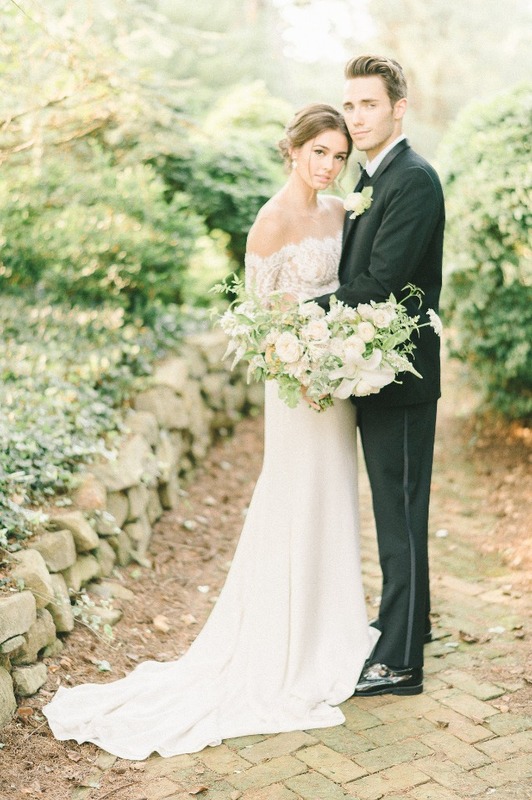 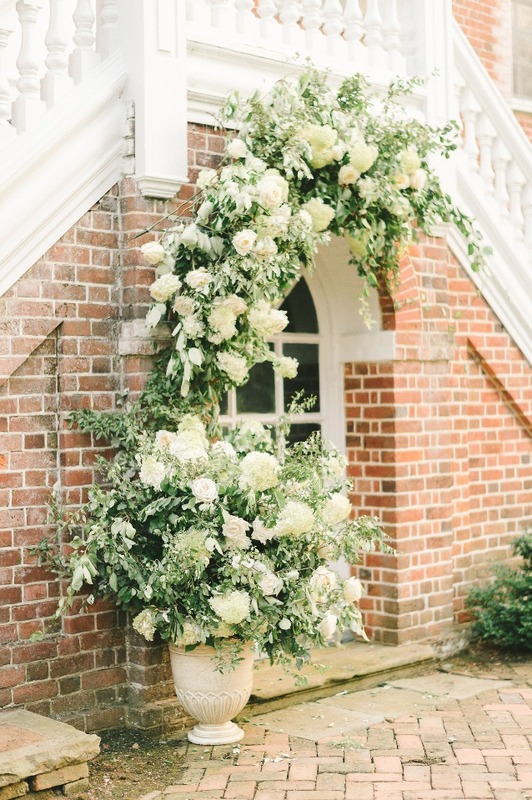 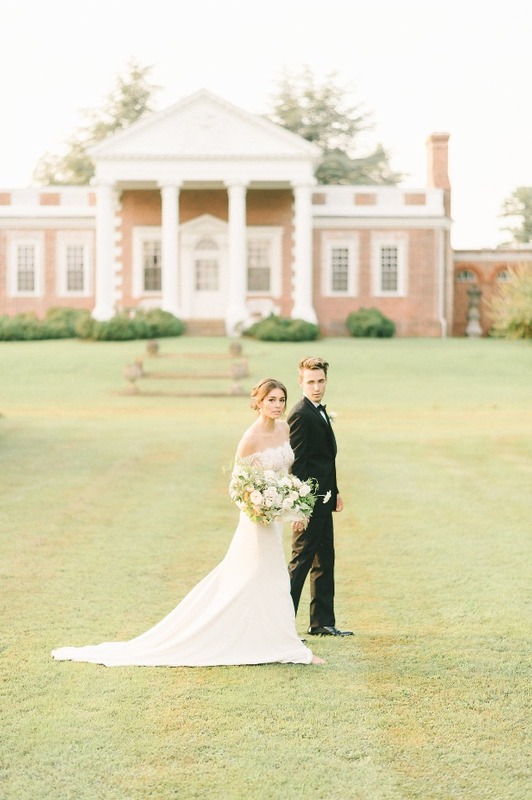 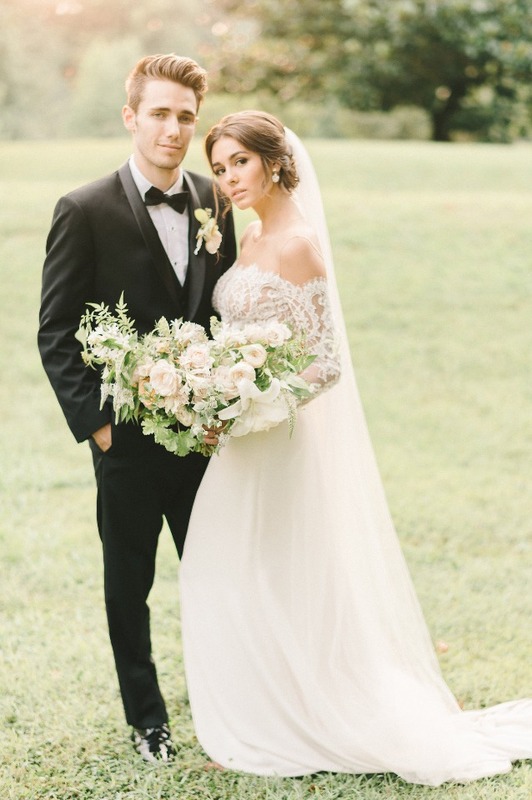 The organic look and feel of this soft vintage wedding inspiration from Adriana Marie Events is as dreamy as can be at the historic Whitehall in Maryland. 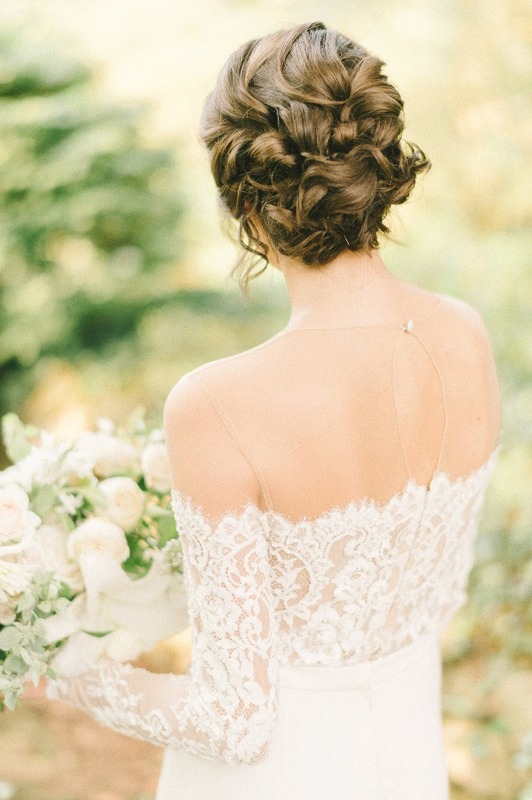 If you’re seeking a styled, relaxed look for your big, look no further! 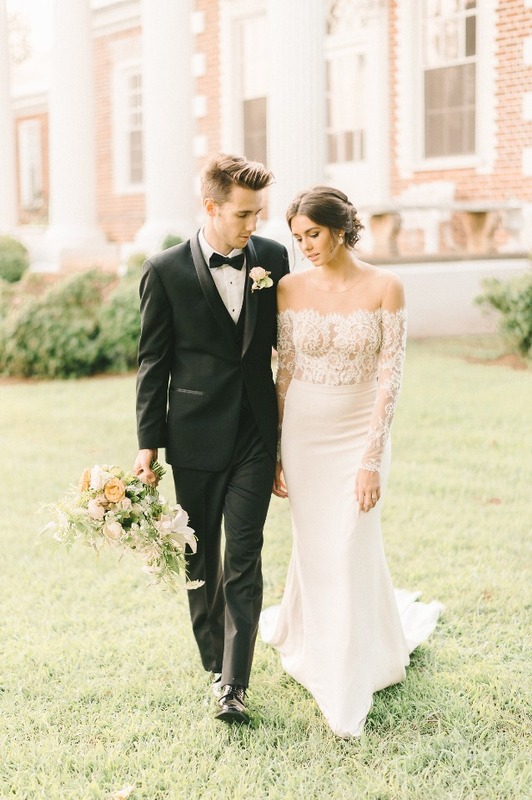 The brides off shoulder lace gown from Lihi Hod is both breathtaking and sophisticated, and tops the list as one of our favorite details from this shoot. 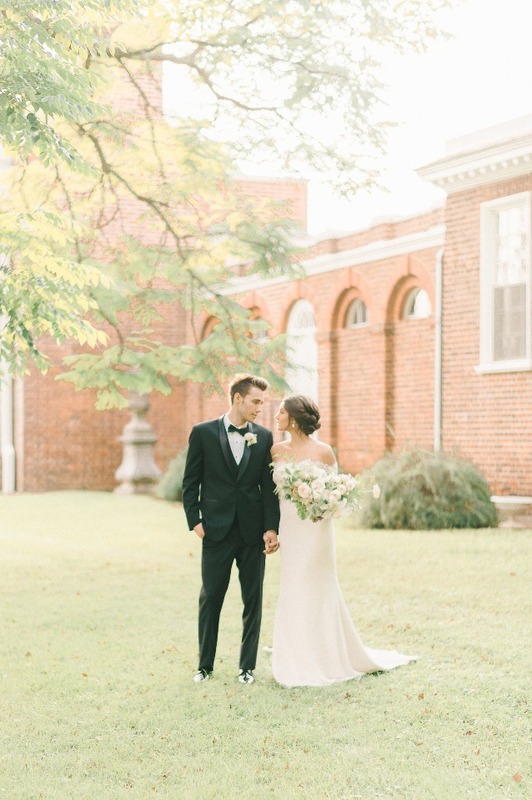 But trust us, you won’t want to miss a single moment captured by the talented Elizabeth Fogarty in the full gallery here. 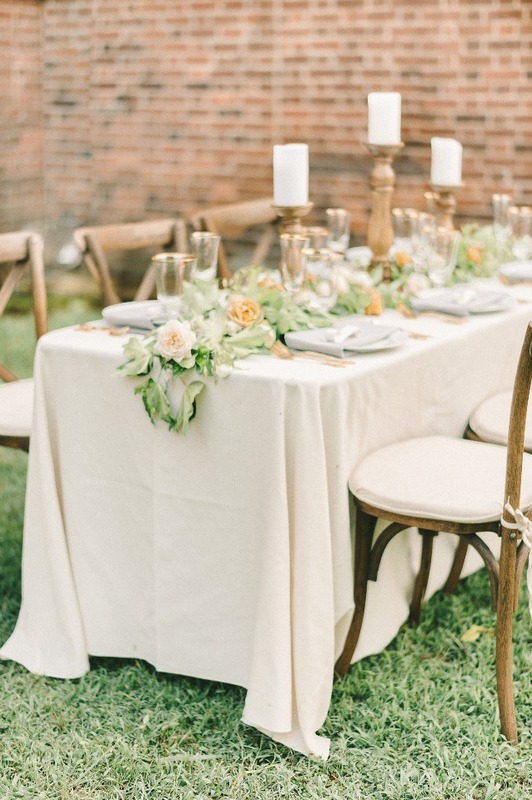 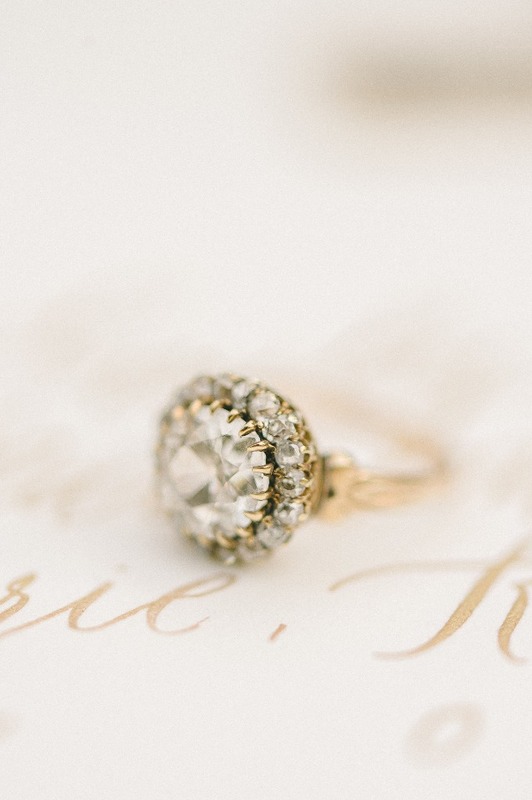 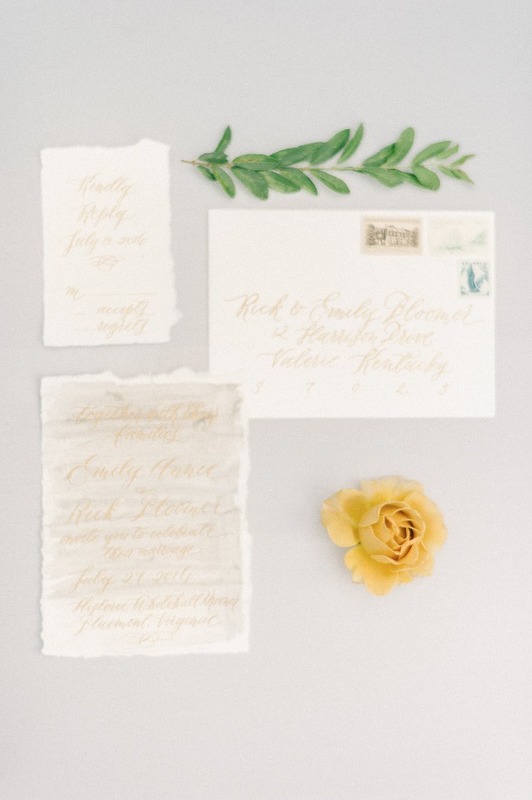 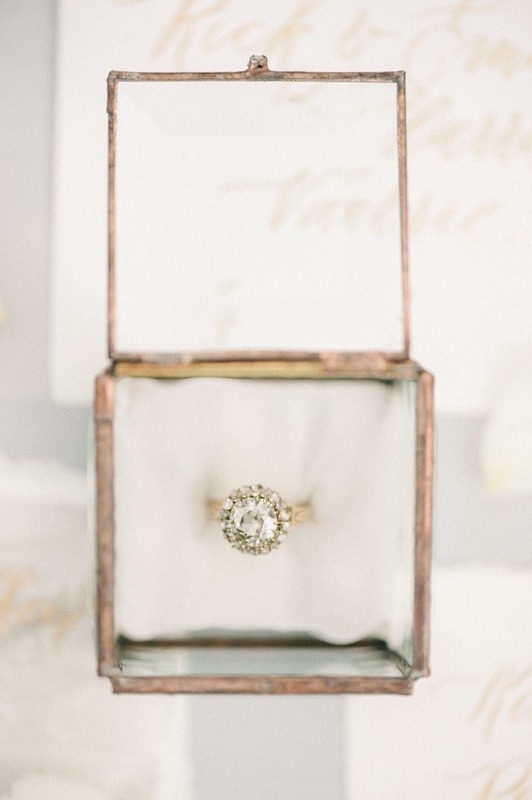 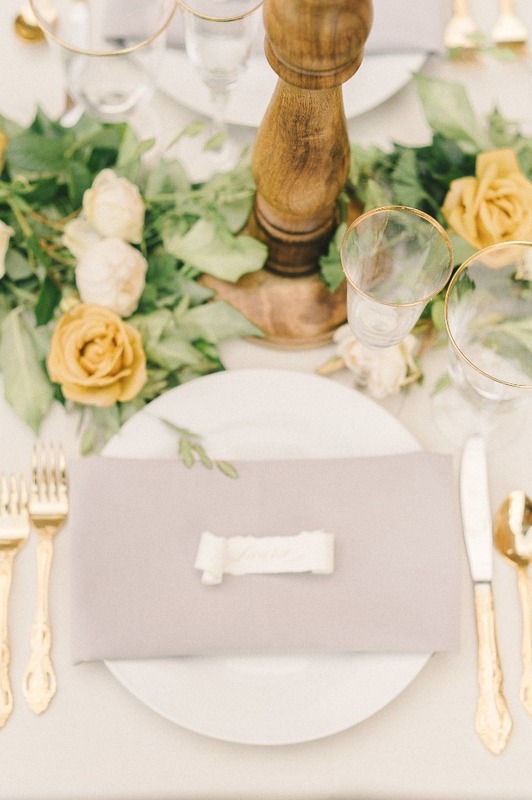 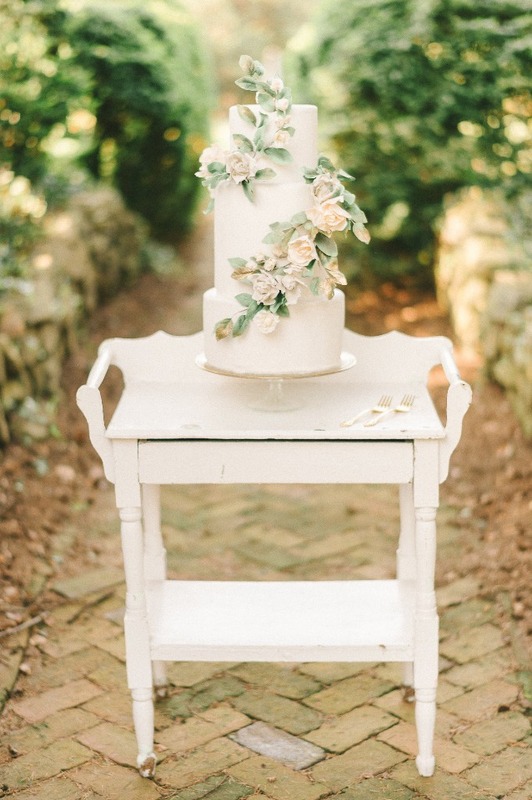 We set out to create a soft and elegant wedding look with a clean and vintage vibe. 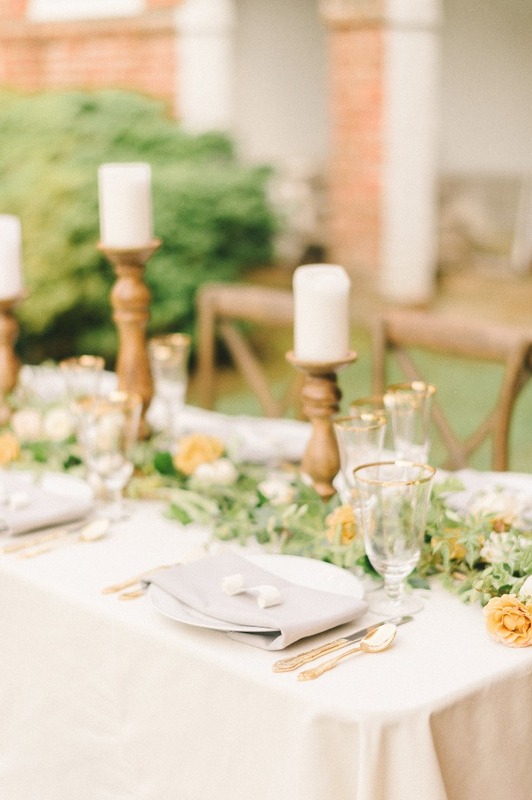 We will be incorporating soft white and ivory tones, wood textures, soft lush florals, greenery, and hints of gold and grays to create an elegant and organic look. 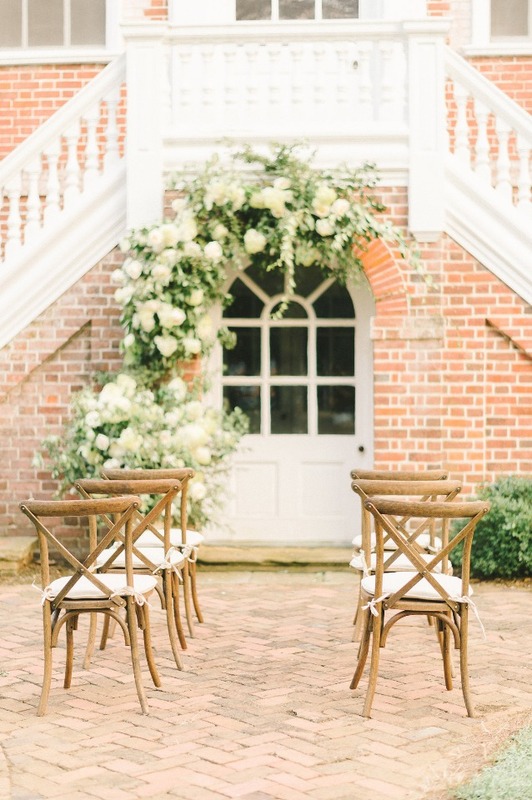 The brick and natural textures of the location make for a relaxed and unique elegance. 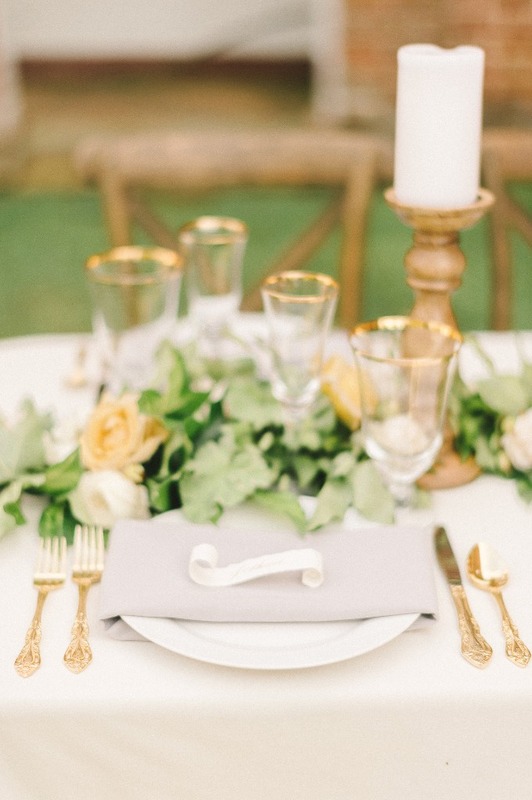 The incorporation of lush ivory and green wedding scene will bring this look to life. 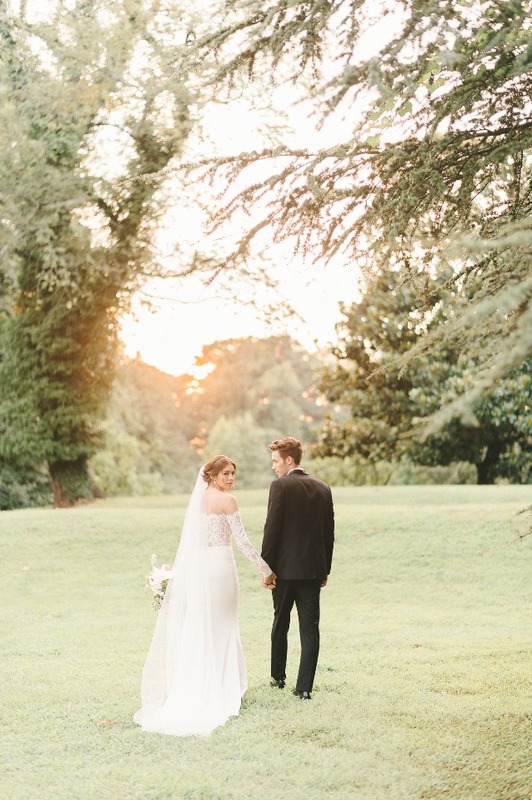 Without being overproduced, this setting is ideal for the romantic and organic couple seeking a styled look on their special day.